Check out this great upcoming event on Thursday, April 25th, brought to you by Monticello Living Advertiser, Strata Granite and Marble. The annual Easter Egg Hunt was a huge success again this year!! 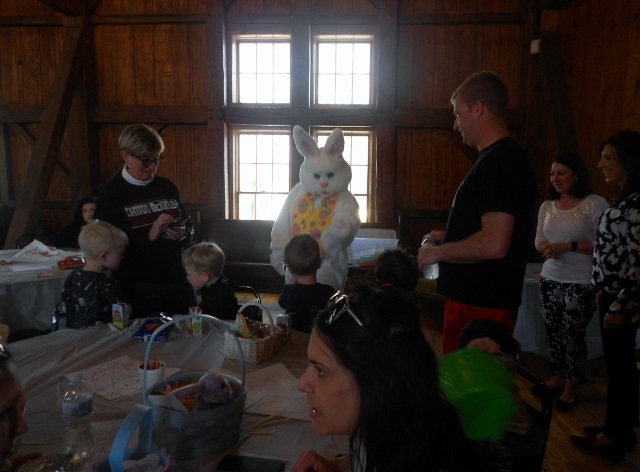 Almost 150 adults and children enjoyed the Easter activities on Sunday, April 14th. 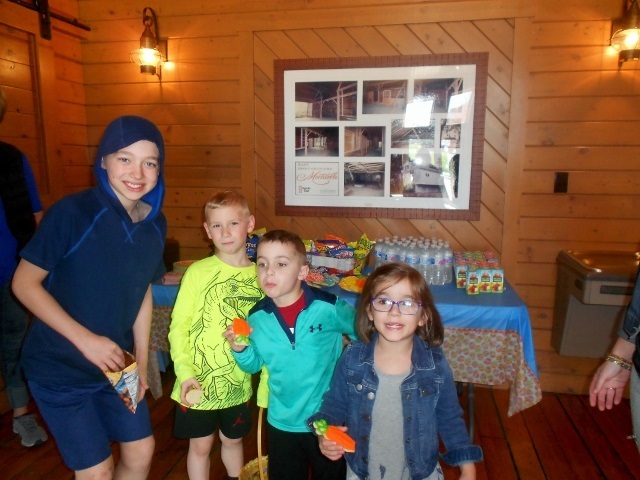 Children of all ages searched for and collected the Easter eggs hidden outside of the barn and traded their finds with the Easter Bunny in return for a treat!!! 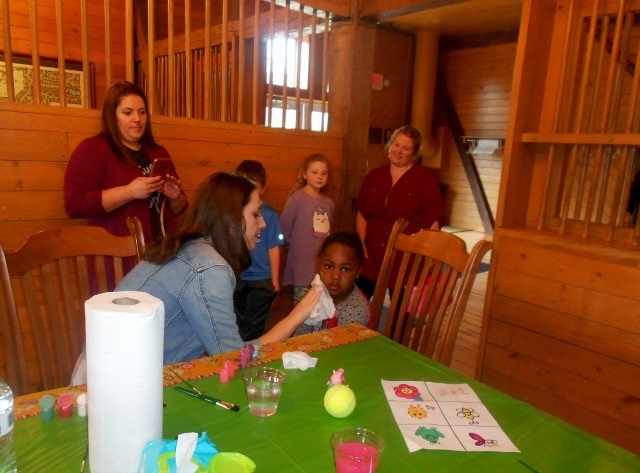 Along with a variety of crafts, children enjoyed having their face painted and the younger children also enjoyed the large bouncy house in the loft. 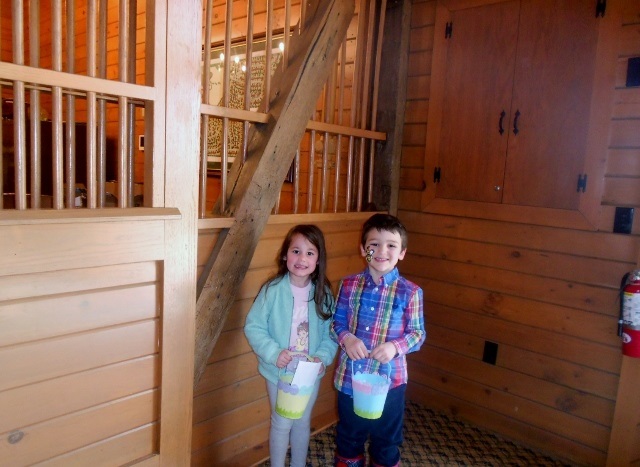 A girl and a boy were winners of the “Golden Egg” contest receiving a special basket full of goodies. Thanks so much to Denise Hecht for chairing and organizing this event. Greg Blate also contributed to the success of the event as well! 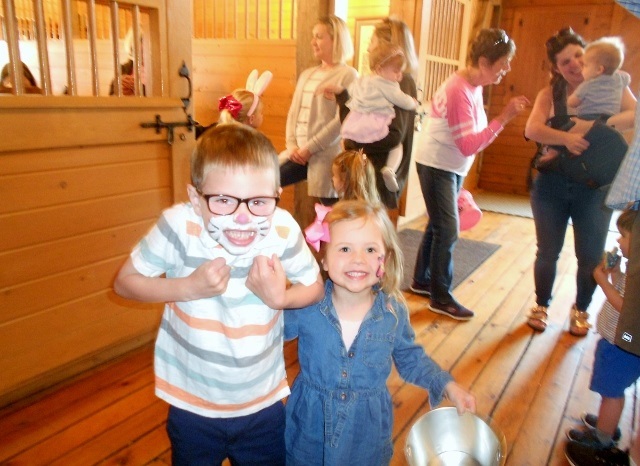 Check out the photo gallery for all the pictures! The pool and pool area is CLOSED until Memorial Day weekend which means that nobody is permitted to enter the pool area. If a ball or toy happens to get over the fence please contact Cheri at The Barn. We want to ensure the safety of ALL the children and residents of Monticello therefore we need to make sure nobody enters the pool area when the gates are closed and locked! Please help by communicating the importance of this to the children of Monticello! * Please remember to slow down while driving through the neighborhood and make a complete stop at all the signs. This is also the time of year we want to watch out for any suspicious activity throughout the neighborhood. Please call the police immediately if you see anything suspicious and also report any incidents to The Barn so we can notify other homeowners. * Remember to trim the hanging branches of the maple trees along your sidewalks. The suggested height is 7 foot to allow easy passage along the walk ways. A number of homeowners have not properly maintained these trees to this specification. Trees that continue to encumber sidewalk use or are not properly maintained by the homeowner will be professionally trimmed and billed to the homeowner. * When vendors provide services to homeowners and ask to place an advertisement sign in your yard, our policy states the sign can be displayed for a period of two weeks. At the conclusion of that time period the sign must be removed. * The remaining balances of 2019 dues and assessments are due by Tuesday, May 15, 2019. Please submit payment of your outstanding balance to avoid suspension of barn or pool privileges. * As a courtesy to your neighbors, please be sure to monitor your pets as well as monitor dog barking that can be disruptive to your neighbors. Also, please remember to clean up after your dog when walking through the neighborhood. * Realtors are to post their signs at the entrances on the Thursday before a Sunday open house. Signs that are placed at the entrances before Thursday will be removed. Realtor signs can be posted on street corners during this time frame as well. Realtor signs that are posted on street corners before Thursday will also be removed. If you are currently trying to sell your home or may plan to do so in the future, please let your realtor know of these policy changes. Signs that are not in compliance and are removed will be placed in the barn office for a period of 2 weeks. Those left unclaimed will be disposed of. You can also post your listing on the Monticello website at www.monticello-hoa.com. * Please notify the barn office if leaving your car in the parking lot. Also, the City has rules regarding overnight street parking. We understand several homeowners have been warned or ticketed. Please make sure you and your guest’s cars are in driveways if parking overnight. * Per our bylaws, all trash, garbage and/or other waste must be kept in a covered and sanitary container such as a trash can, garbage can and/or waste/refuse container. Each container must be kept inside the garage of a residence; provided, however, that the container may be deposited at the public street for collection in advance thereof. We have received a number of homeowner complaints that there are regular violations to this rule. Be advised that the HOA will begin charging fines for violations. Per our bylaws, owner shall at all times maintain the yard in a well-kept and sightly manner which such maintenance will include the application of a weed killer of a type appropriate to control, inhibit and prohibit the growth of weeds on all yard areas of the Lot as frequently as is necessary to control, inhibit and prohibit such growth.